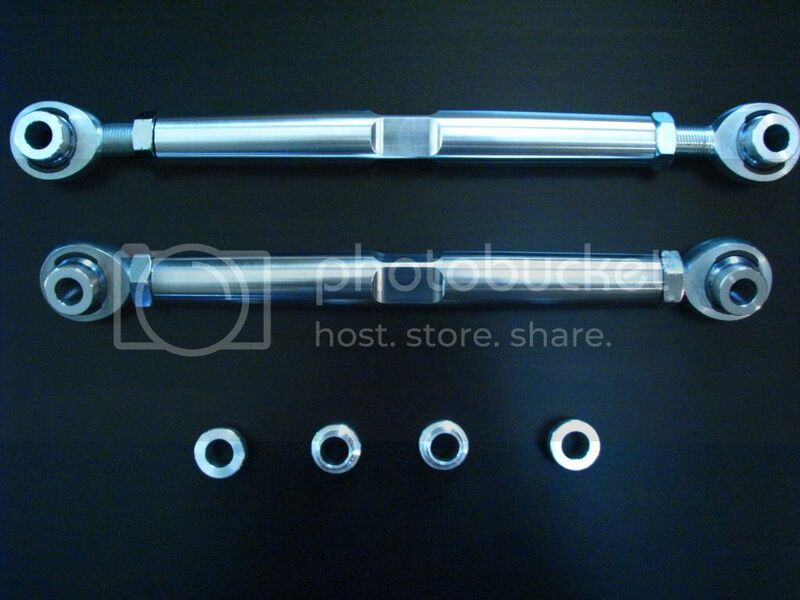 MB Arts Adjustable rear camber arms are made out of 1" diameter 7075 aircraft aluminum with QA-1 chromoly rod ends. The rod ends have a Teflon/Kevlar self lubricating race, hard chrome plated, heat treated alloy steel. The rod ends radial static load rating is 17955 lbs. and the camber arms have 74,000-78,000 psi tensile strength with a Yield strength of 63,000-69,000 psi. The MB Arts adjustable rear camber 7075 aircraft aluminum arms are lighter and much stronger than the 2 piece factory stamped steel units. Another advantage is that the MB Arts camber arms will last many years before having to replace the rod ends unlike the factories rubber bushings that will crack and wearout causing you to buy the entire factory arm again. These arms are designed to fix the extreme camber problems Mercedes have when they are lowered. The arms can be extended as much as 1 3/8" to get the rear tires back to their original vertical position putting more of the tires surface area on the road for safer wet and dry driving. This will save your rear tires from wearing out excessively on the inner most part of the tire near the suspension,which will save thousands of dollars in tires over the life of your vehicle. For those of you who do spirited driving the adjustable arms will give a more precise feel to your rear suspension since you will no longer have the slop that the factory rubber bushing have. Last edited by GLK4matic; 10-17-2009 at 07:21 PM. Here are the camber arms in a machined finish. The top camber arm shows it fully extended to 1 3/8" longer than factory to correct any negative camber issues. The production camber arms come in an anodized black finish. 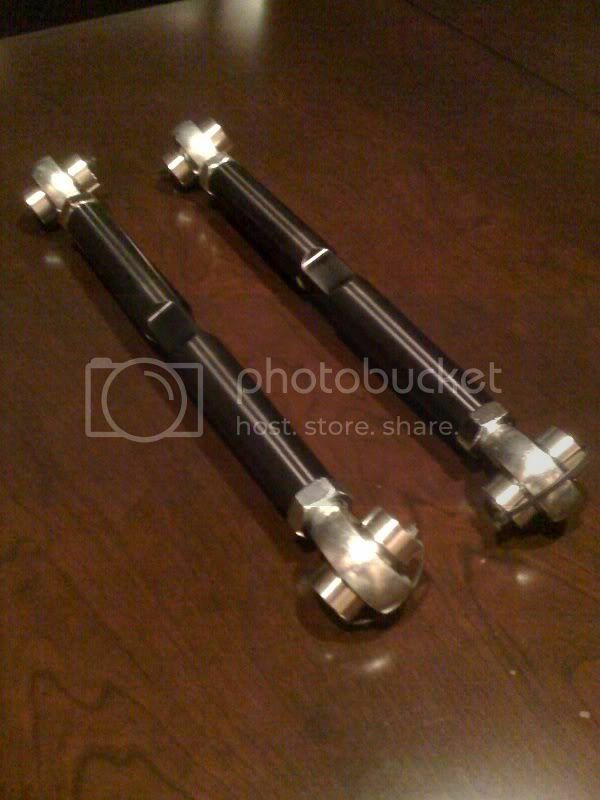 Here is the camber arms in anodized black. Sorry.......old thread, and my 1st post to this forum. Is the MB Arts still considered to be a good solution....and product? Needless to say there are many other solutions that employ the sleeve/bushing/bolt system, at less cost (for the part anyway). Just checking.